George Georgiou - It's all about flyers! George Georgiou began designing flyers, banners and dance floors in his spare time for a variety of warehouse parties and clubs, back in ‘85. In the first 5 years he designed enough banners to cover a football field and numerous flyers for among others, Nicky Holloway. During the day, as an interior designer, he designed film producer, Terry Gilliam’s house, a number of restaurants and various retail outlets. 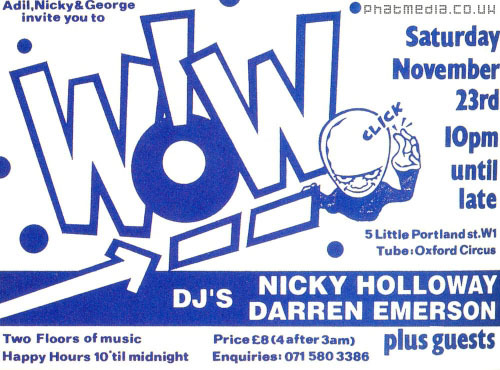 Later credited with adopting the ‘Smiley’ face as the symbol for Acid House, he created the first ‘Shoom’ flyer for Danny Rampling in ‘87, now one of the most sought after and rarest flyers. The highlight of his career at this point (‘89) was performing onstage at ‘Sin ’with ‘Beat’s Working’ the Acid House band he formed with Nicky Holloway and Doug Gordon. 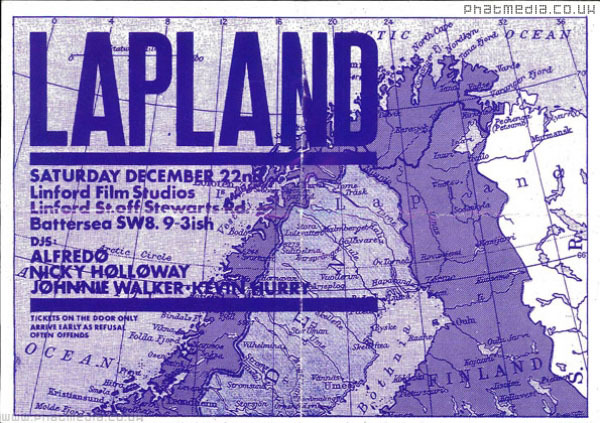 He designed the stage set, the flyers for the club, the banners on the walls and the t-shirts worn by many of the audience. Released by London records with sleeve illustrations by Georgiou (and Dave Little) the single bombed, but at least it looked good. 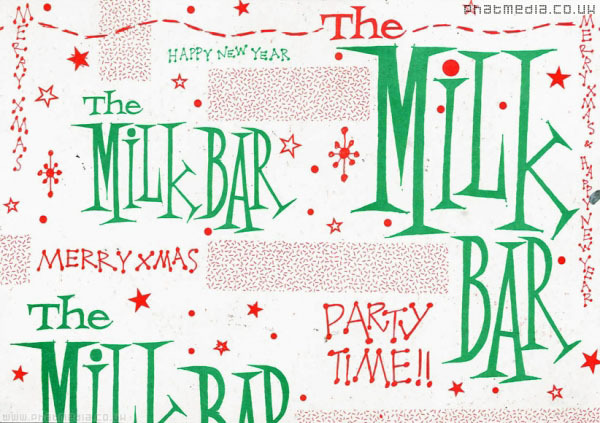 He went on to design ‘The Milk Bar’ and ‘Velvet Underground’ nightclubs for Nicky Holloway in the 90’s and continued designing flyers for a new generation of clubbers into the millennium. Today he is in partnership in a London based Interior Design company, General Practice, designing restaurants, bars, shops, exhibition stands, book covers, CD sleeves and the occasional flyer.